We deserve a new learning space because we have the vision, the commitment and the belief in our community… but not the space to deliver everything we would wish. In a cramped, Victorian building we are constantly facing challenges when trying to deliver our 21st century curriculum. We would use the new building as a library and family learning space. (We currently have no library in school. We are also limited to the number of opportunities that we can provide for family learning due to lack of space, although we have a home school link worker who has already had a substantial impact on parental engagement). It has been a long held dream of ours to have a family learning space where we can really engage parents in their children’s learning. With three quarters of our pupils having English as an additional language and over 30 languages spoken in school, it is essential that we support parents in supporting their children. Raise the profile of reading and books in school. Provide a colourful, stimulating environment in which children can immerse themselves in and share books with each other. Invite parents to relaxed sessions where they can make friends, build confidence and be part of our community. Run ESOL classes and other adult learning. Run book clubs, creative writing clubs, etc. Run dads and lads reading club and much, much more. 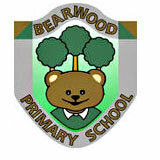 Vote for Bearwood Primary School now!